#29 in fresh paint with restored number board and headlight, May 28, 2007. Bill Buhrmaster photo. Copper Range #29 was built by the American Locomotive Company at their Schenectady, New York Works in February 1907 (builder number 42535). #29 was built to serve the copper mining industry in the Copper Country of Michigan’s Upper Peninsula. The Copper Range railroad was the last major railroad built (starting in 1899) in the Upper Peninsula, consisting of approximately one hundred miles of trackage. The #29 is one of eight C2 Class Consolidation type locomotives that the Copper Range purchased for freight service. #29 at North Freedom, WI, May 30, 2004. Paul Swanson photo. 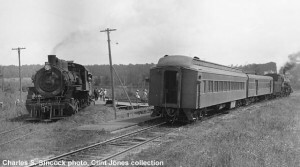 In addition to serving the copper mines and mills, the Copper Range Railroad also provided passenger service to the Copper Country. Service varied from the “Northern Michigan Special” that connected to Milwaukee and Chicago, to the various local trains serving the miners and the mining communities. From 1909 until 1944 the Copper Range also ran special school trains, hauling students to the area high school in Painesdale. 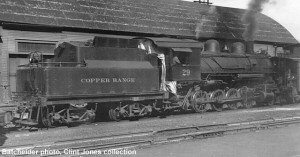 As business declined and locomotives were retired, the Copper Range utilized #29 for freight and passenger service. This was especially the case during WWII, when passenger service was reinstituted. During this period, the Copper Range provided passenger service between Houghton and McKeever for a connection with the Milwaukee Road’s Chippewa service to Chicago. On September 15, 1946 passenger service was discontinued. #29 at Hancock, MI, May 23, 2004. In November of 1946, the Copper Range placed an order for two 1,000 horsepower Baldwin diesel locomotives. After they arrived in April 1947, the Copper Range scrapped half of its remaining fleet of steam locomotives, leaving behind the #29 and three other Consolidations. By 1953 the three other Consolidations were scrapped. 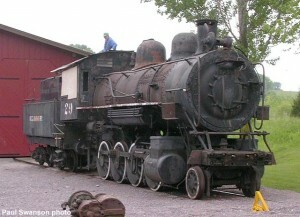 #29 remained as the very last Copper Range steam locomotive. 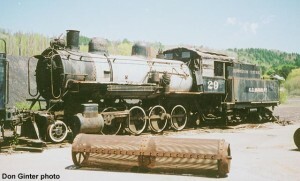 #29 stored at Hancock, MI, June 1997. Don Ginter photo. Miraculously escaping scrapping, #29 was sequestered away in the Copper Range at Houghton roundhouse from 1953 until 1967. 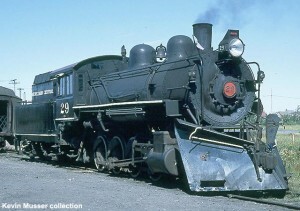 In 1967, #29 was reborn when it was sold to the Keweenaw Central Railroad, a tourist operation based out of Calumet, Michigan and used on their passenger trains. 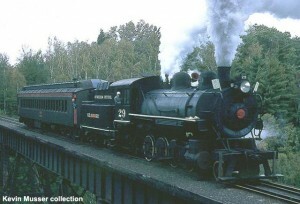 #29 ran for three years on the Keweenaw Central hauling passenger trains between Calumet and Lake Linden. The resurrection was brief however. 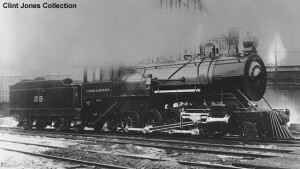 Boiler problems sidelined the locomotive in the fall of 1970. 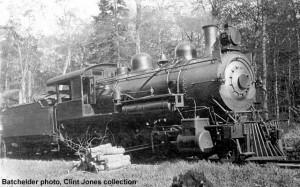 The abandonment of the Copper Range Railroad in 1972 forced Keweenaw Central to cease operations and move their equipment out of Calumet. #29 in service on Keweenaw Central between 1967 and 1972.. Kevin Musser collection. 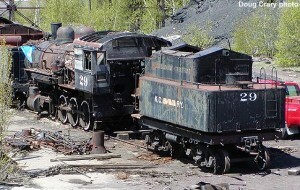 The locomotive sat, deteriorating, alongside the ruins of the Quincy smelter in Hancock, MI awaiting its fate, for yet another thirty years. 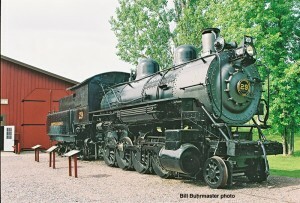 In September 2003, #29 was offered to Mid-Continent with the requirement that the museum move the locomotive out of Hancock before the summer 2004. 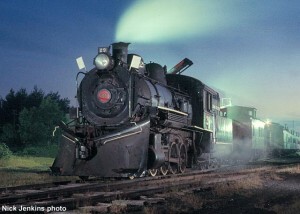 Funds were raised and the locomotive left the Copper Country for all times on May 26, 2004. 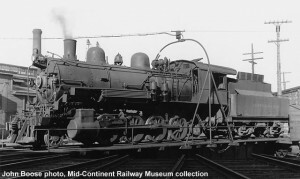 The locomotive was unloaded at Mid-Continent on May 27, 2004 and is now on display, awaiting restoration as time and funds permit. For photos of the loading process at Hancock, MI, click HERE. For photos of the unloading at North Freedom on May 27, 2004, click HERE. CR #29 in service on Keweenaw Central between 1967 and 1972. Kevin Musser collection. Copper Range #29 at Calumet, MI in service on the Keweenaw Central, August 1969. Nick Jenkins photo. Copper Range #29, Houghton, Michigan, 9-27-58. Stanley H. Mailer photo, Don Ginter collection. Copper Range 29 at McKeever, with Copper Range Train #14, meeting the Milwaukee Road train #14. Charles S. Sincock photo, Clint Jones collection. #29 switching at Houghton frieght house c.1940. Batchelder photo, Clint Jones collection. Copper Range #29 on the turntable at Houghton, MI, 8-26-39. J. Boose photo, collection of ?? Copper Range #29 in service, c.1910. Batchelder photo, Clint Jones collection. CR #29 builders photo, 1907. Clint Jones collection.